I know i can't believe it’s been three weeks, though it seriously feels like I've been here forever! It’s weird to think of what it will be like to leave here now. I’m definitely excited but also kinda nervous for it! I really don’t like writing letters though! I Love to get mail but I’m also trying to get used to only being able to email because as soon as i leave, that’s what will happen! Gosh i can’t believe it’s been a year since i graduated! I wish i could do splash again, i miss my friends and stuff but none of them are home anyways! Everything is fine and we are really figuring out how to do everything. I’m comfortable here and it’s nice. Spanish is a continuous struggle but we were told by our presidency to try to just focus on the doctrine and just have faith that the language will come. It’s really hard, and we have to keep studying it but we have to make sure we know the doctrine first. I read my Book of Mormon everyday and study in it multiple times a day for things! Preach my gospel is like another companion! It is always being used there is so much stuff in it that can really help you while teaching. I do wish i would have studied it before I came but at the same time.. I’m studying it non-stop here so oh well i guess! :) Yes my testimony has absolutely grown since I’ve been here. This has to be the true church because of how well we all do while we prepare to go teach gods children. Gosh so i heard this story where an elder had a dream about the pre existence, and he was hanging out with his friends waiting in line to hear where they would be sent in the world, When they got to the front the elder was told he would be able to be born into a family who was a part of the church and he would be able to serve a mission. His friend behind him was told that he would have a really hard life and that he would have to do his best to find the true church. His family would be poor and would not have the opportunities that his friend would have. And as they were about to leave to earth, his friend said, "Don’t forget about me, you have to find me" geez this story gives me the chills. 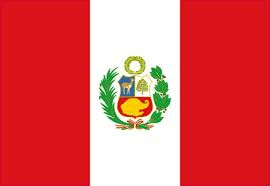 I don’t know if it is true but I honestly believe I knew the people who I am going to teach in Peru before my mission and that they are my friends from pre life. It was said that his mom got a letter from him saying that he had found his friend from the dream. Gosh it really makes me feel the spirit so much, just thought I would share that. The spirit is always strong here, you especially feel it while you teach and while you're in devotionals. It’s just a crazy experience how much you feel it all the time. It honestly isn't that peaceful here apart from when you have personal study, other than that you're going pretty fast all the time! It’s hard but also keeps your mind off home and what not. I’m taken care of and have everything I need. I am so lucky to have such a wonderful family who is a part of the gospel! So last night we moved rooms because since elder turner left we've been in a trio with Elder Tolman. This week one of our districts left, which were Elder Tolman’s roommates, It was just down the hall but it really felt weird leaving there! Plus it’s sad to leave Elder Harris and Reinhart, but it’s okay! At least we are still in the same building. It’s been snowing and raining here quite a bit and it’s been pretty cold! Elder Reinhart loves it because he’s from Cali and hasn’t really seen snow before, but the rest of us are sick of it! Elder Maestas left I think the day after that picture, he was going English speaking so he was only here like a week! He was from California but I never really got to talk about him about anything. You really are only able to talk much with the people in your zone, but you’re way more close with your district. I am honestly with them all week besides sleeping. So we have got to know each other really well! Our zone is the rooms around us in the building which right now is only 2 other rooms but we get a new district next week. We see them in gym, in the residence and every so often we visit each other in class. Everyone else is kinda in their own thing, you’ll see them at lunch or in passing but you never really have a opportunity to talk to them! Like I always see Ryan in passing but haven’t ever been able to talk to him. Hey let me know when Keegan goes in and what not! I’ll try to find him! So I won’t be DL anymore by Sunday, which is honestly great so I won’t have to worry so much about things anymore:P Its awesome that you had the elders teach your lesson, it probably helps big time with them practicing their lessons! It’s funny because we can talk so much about the gospel but right now we can’t talk about normal stuff, hopefully it will come with time. I hope Eutimio is doing fine too! let me know! These two must be the new Elders! He doesn't send me names. Xavi writing letters today! He always sends a picture sticking his tongue out!